Dental care stresses a lot of people out, and many dental offices do little to help those contending with dental phobia. At ProSmiles Dental & Orthodontics, however, we value patient comfort just as much as healthy, beautiful smiles. If you or your child need a little help to feel relaxed in the chair, sedation dentistry is always available. These safe and proven techniques will make any dental fears seemingly disappear, leading to a calm and cool appointment for everyone. Think your next appointment could benefit from sedation? Give us a call to learn more. 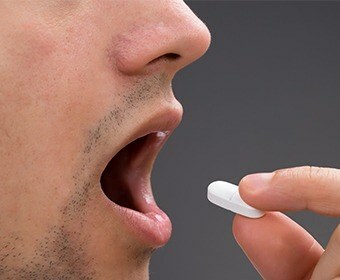 Oral sedation involves a patient taking a prescribed medication before their appointment in order to feel mentally and physically relaxed, no matter what kind of procedure they need. Most patients remain awake while in the chair, but many describe feeling like they slept through their entire visit afterward. This is a simple solution for those with mild to moderate dental phobia, and we can prescribe a variety of drugs based on the unique needs of each patient. 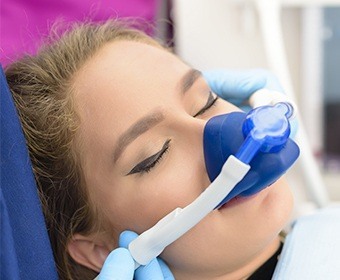 Nitrous oxide has been used by dentists for over 100 years to gently “take the edge off” of dental nerves, and it’s so effective that we still use it today here at ProSmiles. A patient simply inhales the gas through a small nasal mask, and within a minute or so, they will feel a sense of calm and wellbeing come over them. The mask stays on for the entire appointment, and once it’s removed, a patient will experience no lingering drowsiness or numbness, meaning they can go straight back to their day without interruption.